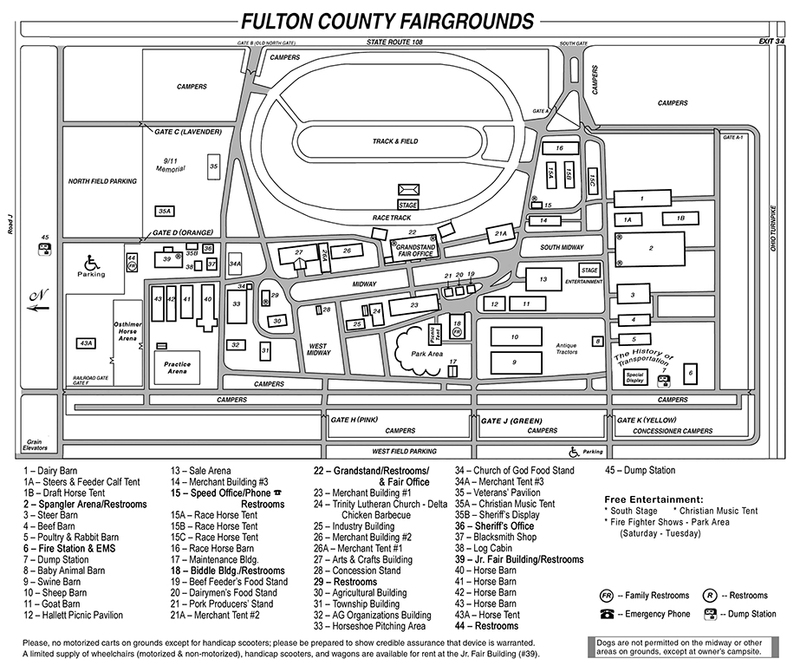 This map will help you find your way as you explore everything the Fulton County Fairgrounds has to offer. And if you get lost along the way, one of our volunteers will help you get to where you’re going. To download a PDF of the fairground map, please click HERE.